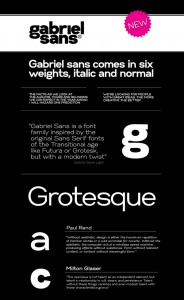 Gabriel Sans is a font family inspired by the original Sans Serif fonts of the Transitional age like Futura and Grotesk, but with a modern twist. It is clean, elegant and straight-to-the-point. 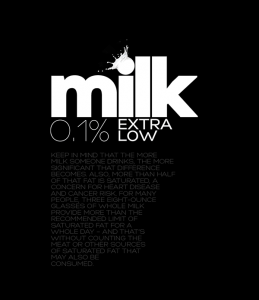 It has features similar to the classic Helvetica – like the endings of the capital C – but goes one step further. It also has a quadratic look, which makes it easily distinguishable and easy to use – the height is nearly as long as the width. It is professional and equally suited to your business or your personal lifestyle; it can be used in logotypes as well as in typeset text. It’s an all-purpose font offering the best of both worlds! 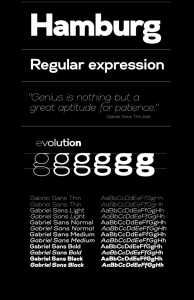 Gabriel Sans comes in six weights, italic and normal.